Bolivia blends traditional Andean culture with inimitable natural beauty. 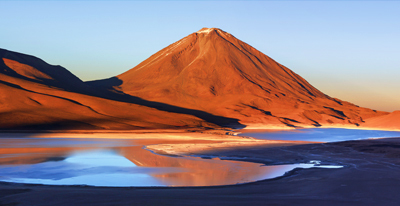 Take a look at our suggested Bolivia itineraries below or give us a call to discuss your custom travel plans with one of our knowledgeable Destination Specialists. The trips on this page are meant to give you an idea of some of your possibilities: we thoughtfully customize every itinerary to match our travelers' interests, dates, and budget. The level of service was outstanding and every promise was more than fulfilled. We look forward to our next adventure with Vaya. Our guides were excellent in all locations. Extremely informative, easy to understand, very thorough in their knowledge, and gave good recommendations for our free time.